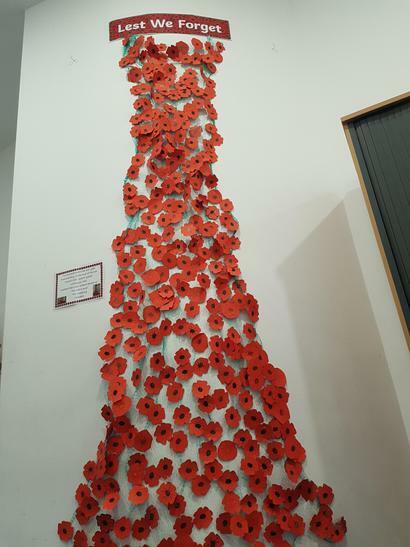 The pupils of Whitings Hill held a very poignant and respectful Remembrance ceremony on Friday 9th November. 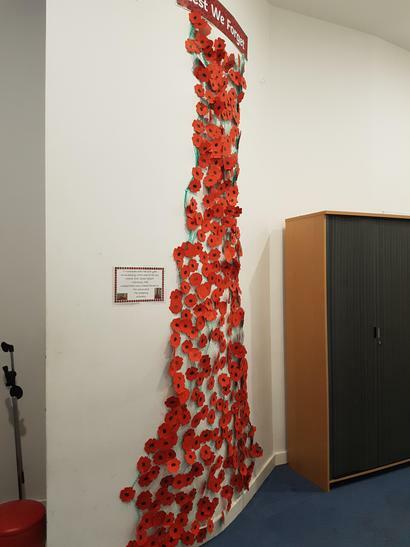 All off the children gathered in the Main Hall at 11am for an impeccably observed minute of silence bracketed by two renditions of "The Last Post" played beautifully on the trumpet by a pupil from QE Boys School. 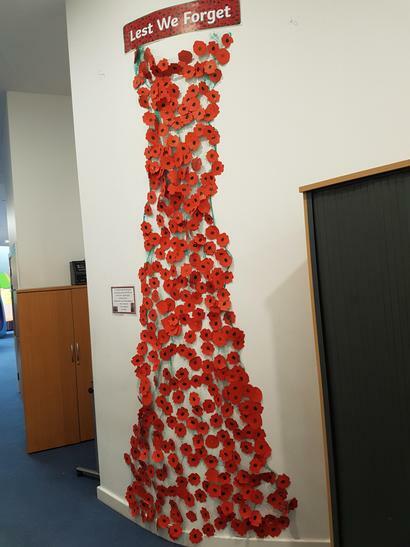 The ceremony finished with a touching reading of the poem "Never Again" by our Head Boy and Head Girl, Henry and Sadie. 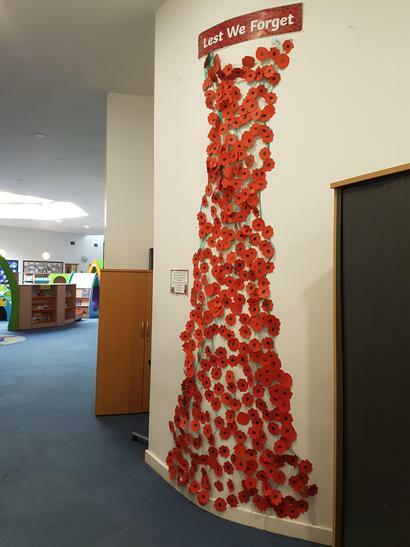 On the way back to class, the children filed past our version of the "weeping window" of poppies designed and constructed by Ms Ogden and 6M from poppies provided by all of the children in the school.